CTS is the creator of T4, a fully hosted professional trading platform for futures and options. T4 offers direct exchange connectivity to many of the world’s largest exchanges, flexible risk management, and a suite of advanced trading components including T4Charts, T4Desktop, and T4Mobile. Whether a trader, professional trader, retail trader or risk manager, CTS has the functionality you require to fit your trading needs. CTS is a technology company that understands the needs of their customers. CTS takes care of the technology so that you can take care of your business. Sweet Futures offers many online trading platforms. Like all the platforms we offer, CTS T4 Desktop has all the functionality that a professional trader demands while remaining user-friendly for the retail trader. Enjoy a free 2-week Trading Simulator account. During your trial, Sweet Futures will be just a call away to answer any questions you have. At Sweet Futures, we know trading platforms. Since 1999 Sweet Futures has been working to provide our clients online trading platforms that fit their needs. T4 Desktop is the premier platform of the T4 Suite of trading products. T4 Desktop has all the functionality that a professional trader demands while remaining user-friendly for the retail trader. Full functionality and customization allow all users to create a trading screen that perfectly fits their trading style. CTS’s charting package is built directly into T4 Desktop. Custom built by CTS, it is a package meant for both professional and retail traders. 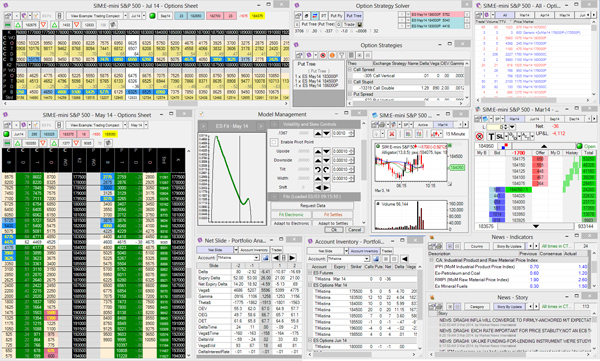 Charting has real-time streaming quotes for all futures, options and strategy markets available on T4. T4 charts are user-friendly and easily configured to each user’s specifications. 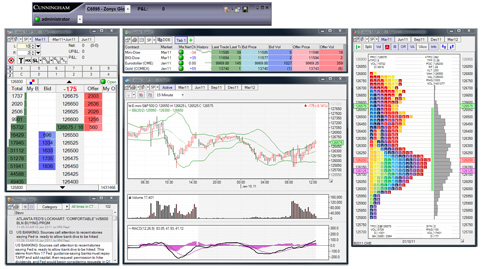 Charts created and saved along with the other T4 windows provide one platform for trading and charting. See depth of market, working orders and trade directly from a chart. 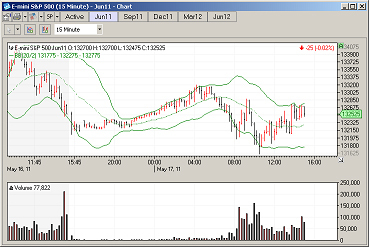 CTS’s advanced charting package is built directly into T4 Desktop. CTS advanced charts offer many addition features than our basic chart package. Renko, Point and Figure, and Heikin Ashi chart types offer alternative perspectives to conventional charts. These chart types work in conjunction with real-time tick data to create precise pictures of market movement. Apply existing and custom studies to these charts for an even deeper analysis. Options trading software for generating theoretical values, pinpointing and comparing trading opportunities, creating custom spreads, and calculating position risk through multiple scenarios. T4 Options Pro is a complete options system utilizing single and multi-window environments giving the user ability to organize their workspace and save multiple layouts completely. All CTS supported exchanges included. CTS maintain their own exchange connectivity and the equipment necessary to operate the CTS network at multiple data centers. Hosting allows CTS to control and maintain a robust, fast, and reliable network that meets all of a trader’s requirements and more. This stable and efficient network is the foundation for a state-of-the-art front end. All you need is internet connectivity. T4 TradeSniper is a client-side application that allows you to create, chart and trade custom spreads. You pick the legs and ratios you want to trade, and CTS provides real-time depth of market quotes. T4 TradeSniper will also allow you to chart your custom spread. Add indicators and studies to help you find and take advantage of trends and trading opportunities. Orders placed in T4 TradeSniper will wait for favorable conditions before executing at the exchange. T4 TradeSniper reduces the risk of getting hung as compared to cancel/replace auto-spreaders. 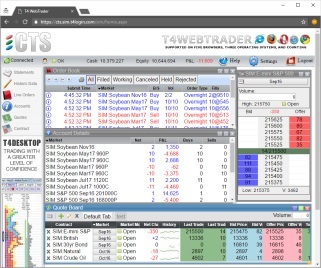 T4 WebTrader is a browser-based trading system that provides real-time market access to every exchange CTS offers. A basic internet connection and simple web address allow direct access to the world’s futures markets without downloading an application. T4 WebTrader provides traders all the standard functionality they need, such as account details, order book, market depth screen and quote board. 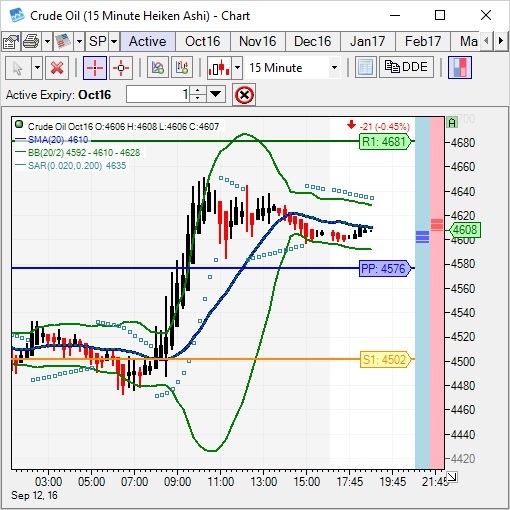 T4 WebTrader gives you an easy-to-use interface, real-time order submission, and a back-end that offers extreme reliability. T4 Mobile is a simple trading interface that utilizes touch screen technology. T4 Mobile offers real-time market access to every exchange. CTS provides real-time order submission and a back-end that offers extreme reliability. T4 Mobile is available for iPhone, iPad, iPod touch, all Android devices, and in web browsers as T4 WebTrader. Available for iPhone, iPad, and iPod touch and Android 4.2 device or higher. T4 API simplifies development, saving time and frustration. CTS’s T4 Desktop is written directly to T4 API, which allows for any functionality available on the T4 front ends to be duplicated on any other 3rd party application. Microsoft.NET permits applications to be written in languages such as advanced C++, C#, and Visual Basic, among others. Visual Studio 2005 and later is supported. The T4 API utilizes a single SSL connection, enabling easy passage through firewalls. With T4 Desktop, you can trade from anywhere. Whether you are at home, in your office, or on the road, when you trade with T4 Desktop, all you need is access to the internet and a computer and you are ready to trade. T4 Desktop can be hard-wired to your firm’s network or can easily be used at home via your home internet connection. Create your own customized functionality or your own black box system using T4’s available open API. You can now trade directly from the chart. Available for both Charting and Advanced Charting users. View depth of market and trade directly from charts. Click on the desired price on the right side of the chart to open a price prompt window, allowing for modification of price, quantity, and order type before entry. Need more chart features like Tick or Renko charts? Check out the T4 Advanced Data & Charting package. Options trading software for generating theoretical values, pinpointing and comparing trading opportunities, creating custom spreads, and calculating position risk through multiple scenarios. Solve for spreads theoretical values, greeks and OE’s. TradeSniper is a client-side application that allows the user to create, chart, and trade custom strategies and spreads. Place orders in custom spread’s with the same ease as exchange-listed markets. Orders wait for specified leg market conditions to be met before being submitted to the exchange, decreasing leg exposure. TradeSniper® dramatically reduces the risk of exchange penalties that result from extremely high messaging or message-to-fill ratios that exceed exchange limits. With T4 WebTrader, you can trade from anywhere, without downloading anything on your computer. Whether you are at home, in your office, or on the road, when you trade with T4 WebTrader, all you need is access to the internet and a computer and you are ready to trade. T4 Webtrader works on Internet Explorer, Safari, Firefox, Chrome and Opera. T4 WebTrader is also available on Apple iPhone, iPad, and Android. It allows you to access the functionality of T4 WebTrader from the palm of your hand. T4 Mobile offers real-time market access to every exchange CTS offers, real-time order submission, and a back-end that offers extreme reliability. T4 Mobile is available for iPhone, iPad, iPod touch, all Android devices, and in web browsers as T4 WebTrader. An easy-to-use trading platform, T4 Mobile provides real-time data, depth of market, and position information. Monitor multiple markets from the quotes screen, then place, revise, or cancel orders from the depth of market screen. Charts and chart trading coming soon. To download this app, visit the App Store. An easy-to-use trading platform that works on any Android 4.2 device or higher. T4 Mobile for Android provides real-time data, depth of market, charts with studies, as well as position information. Place, revise, or cancel orders from the depth of market screen or from the chart. CTS offers flexible, reliable, accurate, real-time pre-trade risk management for T4Desktop, T4WebTrader, and T4Mobile so you can ensure proper risk parameters are set to suit your company’s needs. With T4 Risk and User Setup, you can feel confident that your risk needs are always being met. Setting up new users, new accounts, and risk parameters can be done from any computer that has an internet connection. Simply log in to your personalized T4 website with your username and password and you’re ready to begin. Alerts – email or text alerts to risk dept.